Completely Herbal, Paraben Free & Chemical free Hotel Toiletries. Glint Hand Wash washes away germs, cleanses, cares and keeps the skin soft, supple and totally clean. We have been a consistent name offering of Antibacterial Hand Wash. The offered hand wash is widely used for cleaning hands and killing germs. 99 Hand Wash combines health & luxury in a single product Aloe Vera, glycerin & vitamin e moisturize the hands whereas its soap free pH Neutral base cleanses gently. Triclosan provides a strong yet safe anti bacterial presence. 99HandWash is available in 2 fragrance variants in yellow & colorless formats. 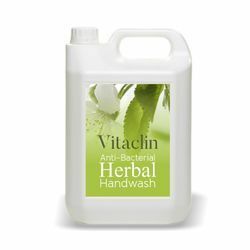 Antibacterial Hand wash is a Light Yellow coloured viscous liquid requires less water to rinse the hands and giving a soft feel. Aloe Vera has been used to cleanse and heal for thousands of years. In fact Cleopatra (pharaoh of ancient Egypt) famously attributed her beauty to the aloe vera plant, and people all over the world make use of its benefits for both health and beauty. It helps skin conditions and keeps the skin looking healthy. Ideal for kitchens and bathrooms, the Dettol No-Touch Antibacterial Hand Wash includes a hands-free dispenser, one replenishing soap refill with lotus flower or honey scent and batteries. KAPTAIN KLEEN – Hand wash is a safe and hygienic hand care solution for all age groups. 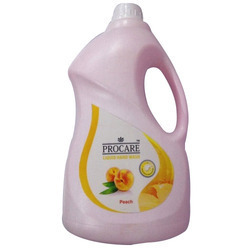 It offers an effective germ protection and skin friendly. It is gentle enough for all skin types. It is an anti-bacterial and is effective in removing dirt and germs. It acts as an antiseptic and a moisturizer. As an illustrious corporation of the industry, we are eagerly immersed in presenting a broad gamut of Antibacterial Hand Wash to our patrons. Keeping in mind the high demand of our esteemed clientele, we are providing a wide series of Antibacterial Hand Wash.